Thought this seemed a good deal. good price for a real leather purse with delivery. 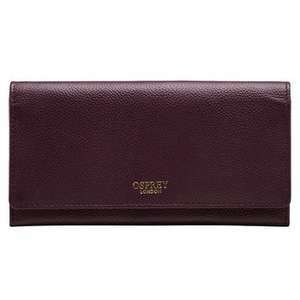 Osprey website retails similar purses for £95!! Comes in a nice presentation box. Ideal mothers day gift. Guess what my mum and mother in law are getting on the 31st! My first post to HUKD so go easy. Can you only order online if you're a Costco member? I think so. I think you can have costco online only membership only for £15.00. Looks like only the light tan colour is Available now. Thanks, this is a brilliant deal. Ordered 2 and delivered yesterday, tagged as £95 on the purse itself. Extremely happy other half, so thought I'd share the love. Great first post.